Banbridge is strategically located on the A1 dual carriageway between Belfast and Dublin. It lies 13 miles north of Newry and 26 miles south of Belfast. It has a district population of 48,000 people with a catchment population of approaching 150,000 people within a 20 minute drive. Bridgewater Retail Park is located directly opposite the 'The Boulevard', which is the largest dedicated outlet centre in Ireland, with 200,000 sqft of retail and leisure space including M&S, Next, Nike, Adidas, GAP and a new state of the art 8 screen Omniplex cinema cementing it as one of NI's key retail and leisure destinations. 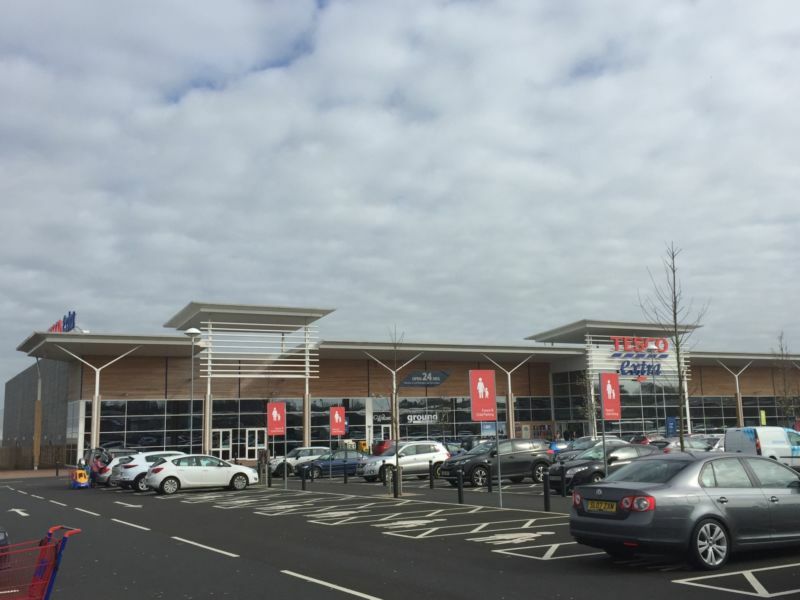 Bridgewater Retail Park is anchored by a new 70,000 sqft Tesco Extra and benefits from over 2,000 free parking spaces. Phase 1 of the adjacent retail warehouse scheme is let to Home Bargains (c. 22,000 sqft) with McDonalds situated at the entrance to the scheme. The subject unit provides circa 20,740 sqft. Nearby occupiers include Omniplex Cinema, McDonalds, Starbucks, Nike, M&S, GAP and Next.